Well folks it looks like I was right. Here is an article in today’s Toronto Star newspaper telling about a 16 year old girl that has been signed to a professional baseball team in Japan as a knuckleball pitcher. Now this team isn’t a top tier team in a top tier league, but it is professional baseball. I guarantee she won’t be the last female pitcher to make it in to the pros. Here’s my post from May 2nd 2007. It has been proven time and again that as athletic as any woman is they can’t compete against men in sports. In general men are faster, stronger, and have quicker reflexes. Even in the game of golf, where I figured women would be able to compete well, it is a great accomplishment for Michelle Wie to even make the cut. So if I’m so sure that women cannot compete with men then why would I possibly say that women should pitch in the major leagues? Because of the knuckle ball! I was watching Tim Wakefield pitch on the weekend and marveling at his numbers this year as well as learning that he is 40 years old! So I took a look at the stats of Phil and Joe Neikro and Charlie Hough. Phil pitched until he was 48 and the other two pitched until they were 44 years of age! What that tells us is that you don’t need a lot of arm strength to throw a knuckle ball. There is no one criticizing knuckle balls if they don’t reach a certain speed. All they have to do is get batters out. Now it’s not as easy as saying I’m going to throw a knuckle ball and pitch in the majors till I’m 50. It would take a lot of hard work and practice, but the key argument here is that none of this work and practice necessarily excludes women. I believe that, similar to men, if women tried throwing knuckle balls there would be some that are good at it, some that are mediocre at it, and some that are flat out bad. For those that have a knack for it a good knuckle ball coach is required. They will be able to teach the pitchers the proper techniques and mechanics to throwing a knuckle ball. Once they are able to get the ball to dip and dive then it will take lots of practice to, and I use this word loosely, control the pitch. I think the keys here are some natural talent, interest in playing baseball, good instruction and most of all practice and perseverance. I believe most knuckle ballers are made because of necessity and natural ability. Some pitchers introduce the knuckle ball into their repertoire to extend their pitching career like Tom Candiotti. 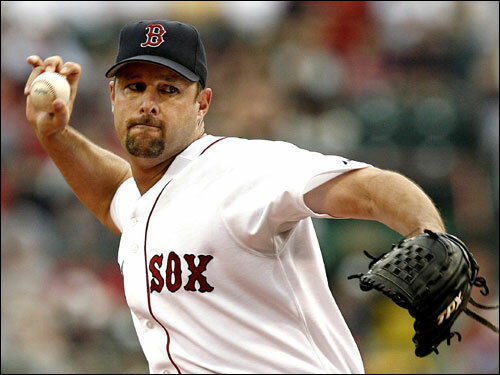 Others become knuckle ballers just to stay in the league like Tim Wakefield who was originally drafted as an outfielder. I think most players have probably attempted a knuckle ball once or twice, but found it so unconventional that they just didn’t bother with it again. They don’t feel that it is a real pitch. So for those reasons I think you don’t find as many knuckle ballers as there could be. Ignoring any prejudice against whether or not the knuckle ball is a ‘real’ pitch, if a woman had some natural ability to throw it, had the proper instruction, and the desire to be a professional baseball pitcher I think you would find successful female pitchers in the big leagues and for a long time. Knotty Pine Walls – What a Difference! Plumbing, Electrical, Framing, Oh My! © 2019 Everyday Weekender. All Rights Reserved.